and links to great resources! Is music reading giving you a hard time? Of course, there are TONS of sites with music reading tips. But in my research, I have weeded-out those sources that didn't take into account the essential factors which do govern learning how to read music. Firstly - A Classic Self-Study Textbook - "LEARN TO READ MUSIC" by Howard Shanet - You CAN learn from a book. And in my experience, this is STILL the best book for self-study in reading music after fifty years! So now, in order to understand what reading music IS, let's back up a bit and go over a few basic concepts. Music is a means of communication, just like speech. In spoken language, an idea, emotion or concept is formed into a sound or an combination of sounds and sent from one person to another, or to a group of persons. When we first learn to speak, we learn that a word STANDS FOR a "thing". Later, we learn that words can also stand for intangible things, or other ideas. The sounds of words are conveyed to us by our parents or caretakers, first simple one-syllable words, then more complex words, In doing this, we learn to recognize entire GROUPS and PATTERNS of sounds immediately as words. We then progress to handling ideas which require groups of words [sentences] to express. We learn to verbalize and use these words and sentences to get our ideas, emotions and desires across to the outside world, and to receive and understand information from others. THEN, we learn that graphic symbols [characters and groups of characters] are used to STAND FOR the SOUNDS and words of speech. We learn to recognize PATTERNS of LETTERS as SYLLABLES and WORDS and so we advance our skill in reading to recognizing whole words instantaneously. And thus we are taught to read and write. And, just as in spoken language, we learn how words combine into sentences, sentences into paragraphs, then essays, entire texts and so on. We usually learn the agreed-upon practices of the language, which are referred to as "grammar". So, We discover that we can convey our ideas to others without having to be personally present to express them, and we can receive the ideas of people thousands of miles away or even those no longer living. And so our culture broadens and deepens. 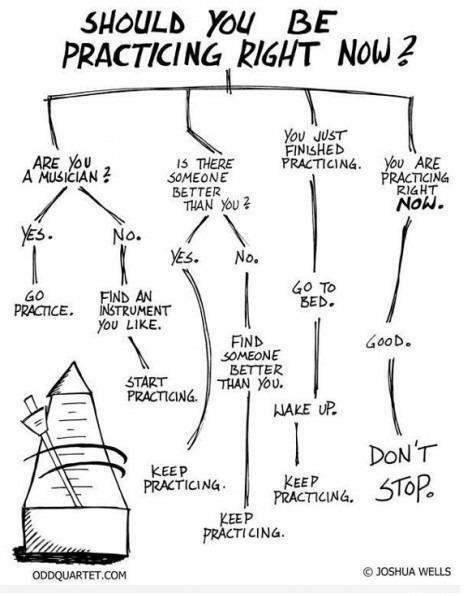 In music, much the same process occurs for many of us [though not all of us - I discuss this below*]. A person, usually a child or youngster, hears songs and then sings them, hears instrumental music and then, picking up an instrument, plays around with it. He or she learns PHYSICALLY "where the notes are" on the instrument. And, as in spoken language, one learns to RECOGNIZE notes, simultaneous GROUPS of notes ["chords"], phrases, melodies, entire works, INSTANTANOUSLY, or at least very quickly. As the person learns to play by assembling simple elements into more complex ones, he or she is making music, "by ear". [Here is where "grammar" comes in: Just as in English you would say: "a large house" and NOT: "a house large", in music you would know whether something was out of tune or not, whether the music was "major" [happy] or "minor" [sad]. And you would KNOW this whether or not you actually knew any of the "grammatical terms". This "grammar" of music we refer to as MUSIC THEORY. It is observed that in folk, pop and jazz and the like, such concepts as scales, melodies, harmonies, chords and song structure, are all part of the "grammar" and are learned very early on. After learning to play at least a little by ear, usually the person is introduced to the GRAPHIC SYMBOLS of music notation. He learns that the individual symbols on a page STAND FOR notes, and other elements of music, how fast it is played, whether it's a waltz or a march, etc.. He learns the reading of music and writing of music, and hopefully progresses in ability to handle increasingly complex and subtle musical ideas. The use and purpose of written notation, then, is analogous to that of written language. It is often remarked that a musician who cannot read, or has difficulty reading music, is "pegged" technically and has to miss out on practically a universe of musical ideas. This is true of even those musicians in genres you would not associate with reading or sight-reading music, such as folk, country, jazz and the like. *However, there IS a "downside" to the faculty of reading music, and that has to do with HOW and WHEN it is taught. You see, if a person is FIRST taught to SING, or PLAY an instrument O N L Y through the medium of reading the music as he sings or plays the instrument, you can unfortunately get the commonly-seen effect of a "musical robot"
A "musical robot" would be a musician who CAN'T PLAY or even HEAR the music without a sheet in front of him! In fact, I've witnessed a classically-trained musician who was unable to sight-transpose [change key] on a part. The classical musician had to laboriously re-copy the music before he could play it in a different key! One, it goes against the natural course of learning a language, as in the examples given above. Two, if the person is NOT taught, along with reading music, the RELATIONSHIPS and PATTERNS in music [the "grammar of music - music theory], then the musician will be playing without an overall concept of the music and how and where HE fits into it. This is true even of solo repertoire. Now there is another possible limitation to the method of teaching music by reading only: Many valid methods of music reading stress "reading ahead", by which is meant looking further ahead in the music to see what's coming up and being continually ready to play what's next. The "written-based" method can practically stymie the "read-ahead" approach: A musician lacking practical experience in knowing what the notes are AS SOUND, and how they fit together as chords and scales, can get his eyes "locked-up" on the page and WILL NOT be able to "read-ahead". Not knowing the PATTERNS, he can only read ONE note at a time! This would be the same as reading words one letter at a time. You can't read a word of any length letter-by-letter, much less an entire sentence! Therefore, "reading-ahead" is very much dependent on "seeing as a whole". "Seeing as a whole" is dependent on knowledge of scales and chords - the "grammar", music theory. "You should also familiarize yourself with the appearance of the Scales. Good musicians do not need to "READ" a scale, they learn to recognize one at a glance - so that it is necessary only to read the first and final notes. As the average person, when reading ordinary text does not distinguish each letter but 'sees' the word as a whole, so will you read music with a little intelligent practice." Let me again present these links to music reading sites, books, free or very inexpensive music software, electronic "flash cards" and music reading video games which make learning fun! See what's to your liking and do try them out. They either have FREE trials or are totally FREE to use. Thirdly: more good free online "electronic flash cards"
And finally: four of PG Music's stand-alone "music video games". They are inexpensive and VERY comprehensive and effective. I hope you enjoyed these music reading tips and advice and I wish you great success with these.